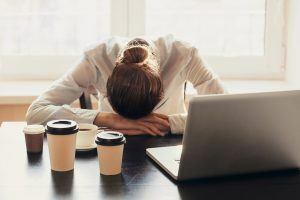 One hurdle to successfully regrouping after failing the bar exam is dealing with the unavoidable advice of all of your family, friends, and mere acquaintances. They will probably serve up common, go-to platitudes — e.g., “you’ll get’em next time,” “hang in there,” etc. Instead of letting yourself be endlessly frustrated by such comments, try to mine them for actual bar prep advice that can help you get back on your bar-prep feet. Here are a few cliches that actually have some kernels of simple wisdom to hold on to after a bar exam failure. The idea is that you will only grow and get better if you face the challenge that previously defeated you. Don’t just give up or plan to sit out the next offering of your jurisdiction’s bar exam. Get right back on the proverbial horse. If you delay in retaking the exam, you may lose the advantage of your previous bar prep and foundational law school knowledge. And, most importantly, you don’t want to lose your nerve. Get re-registered for the next available sitting and be determined to pass. The exam beat you once, but you must rebuild your confidence before you even get back to preparing for round two. Re-registering right away will take away any excuses you may have and force you to get right back on the horse. Once you pass, your first attempt will mean exactly nothing. Your bar card will not come with an asterisk. Try to shake off the previous attempt(s) and be ready to give your all on the next exam. In the end, passing once is all that will matter. Obviously, no one wants to fail, but it is how you respond that will define you. Especially early in your second round of bar prep, you may wake up and not want to get back to your bar prep that day. You have to resolve each day to get back up and get back in the fight. In the end, you will pass and all the getting back up will be well worth it. Let the struggle inspire you. If your first bar exam didn’t go well, now is the time to show your true grit. It won’t be easy to crack back into your study materials and come back stronger, but you can be mentally tough and get on with your business of conquering the bar exam. Read Carolyn Negrin’s great post How to Add Some More Grit to Your Life. The task is not insurmountable, but you will have to put in the work. If deep down you know that you didn’t put in enough effort last time around, push yourself to do that one more set of essays. If your nerves got the better of you, practice hard to stay calm during each practice set. You can decide to be tough and it will make a difference. Be optimistic. After not passing once, pessimism will be a constant temptation, but you can’t let that mindset infect your second-round bar prep. To be mentally tough enough to improve and succeed on your next attempt, you must regain your confidence. Learn what lessons you can from your first unsuccessful attempt. Try to use those lemons to make some second-round lemonade. You have another opportunity to study and pass, so make the most of it! As they say, advice is usually worth what you pay for it, but some cliches may be worth embracing as you rebound. Getting your head straight for a second round of bar study can be tough, but it is necessary work. Keep your head up and get prepared to take on the bar exam one more time!